Accurate Die Design, Inc., New Berlin, WI, a supplier of 3D software, training and support to the tool and die and metal stamping industries, will showcase its SolidWorks Gold Certified Logopress3 die-design software and Logopress3 Blank flattening software. Logopress3 features automatic 2D drawing creation, tool animation and dynamic interference detection, and a round draw module, and is capable of designing large automotive dies as well as dies for small parts comprising several-hundred stations. 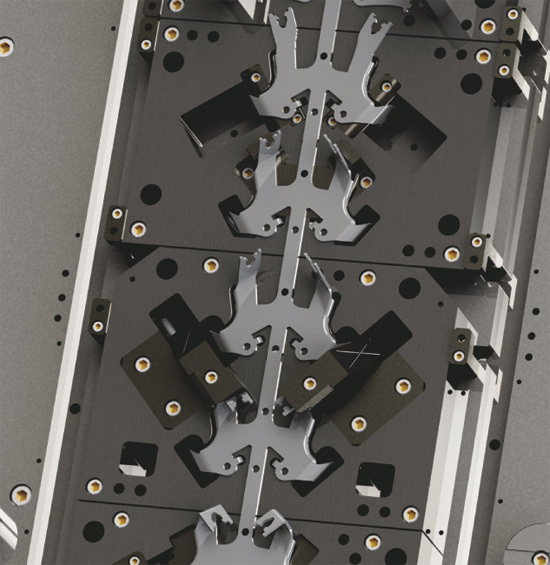 Included is a vast component library of catalog components to cut all holes in all plates, and inserts the components simultaneously. Logopress3 has a simple and straightforward interface, allowing for a short learning curve. The company also is a reseller for standalone products from Forming Technologies Inc. including flattening and forming-simulation software.